Welcome to the Lough Lannagh Cottages Mayo. Part of Lough Lannagh Holiday Village, these family-run cottages offer 4-star accommodation on the shores of the Lough Lannagh. Cottages feature bathrooms, well equipped kitchens and seating/dining areas. For more information or to check the availability of this Self catering in County Mayo please click on the availability link above and below. 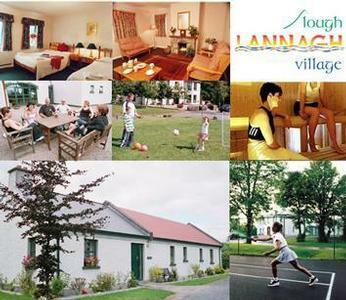 The Lough Lannagh Cottages is in Castlebar Mayo, Ireland. The address is Old Westport Road, Castlebar County Mayo.